Home ⎢Diving Guernsey? Be insured! The government of the Island of Guernsey has confirmed they will charge divers for recompression treatments. All divers intending to dive within Guernsey's 12-mile limit—both commercial and recreational divers—who subsequently require the use of the local hyperbaric chamber, will be charged GB£30,000 per treatment by the States of Guernsey.1 It should be noted that this fee does not include accident and emergency consultation charges (these are billed separately). Previously, the hyperbaric chamber had been operated by St John's Ambulance on a donation basis. It was used by both the diving community and local MS sufferers. However, in April 2014, the St John's Ambulance HQ chamber was considered beyond economical repair and maintenance, and was closed. In 2015, the Health Department rented a replacement chamber. The department now intends to charge divers who require treatment, in order to "balance the books". Health and Social Care defended the amount. "Even charging GB£30,000 does not recover anything near the cost of this facility we are providing for the Bailiwick," a spokesman said. 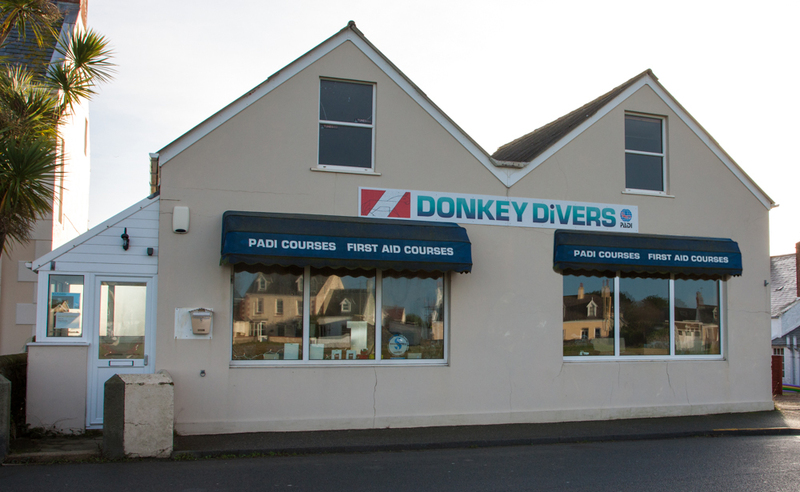 Steve Bougourd of Donkey Divers Dive Centre2 said that he was "gobsmacked". He said the charge had the potential of deterring divers from coming to the island and may even put people off diving. This recompression charge may have unforseen consequences. Bougourd said,"I'm just worried that this kind of cost will put people off of actually going to the [hospital] and notifying them if they suspect a problem—£30,000 a treatment is ridiculous money. In the UK, it is provided on the NHS. We would like for it to fall under the cost of our [Social Security] stamp." Bougourd said it would be far better for the treatment cost to be covered by the States, as was the case elsewhere. "If you look at someone sand racing, if they injure themselves, they get to use the scanner for free." All commercial divers intending to dive within Guernsey's 12-mile limit are required to notify Health and Social Care of their intentions to dive in Guernsey waters. Please email Mikael Appelqvist with intended dive dates, location, depth and duration of the dives, at: mikael.appelqvist@gov.gg. You should include an address and contact information for where invoices should be sent. The current rate charged for the hyperbaric chamber service is GB£150.00 per day. Invoices will be issued by Health and Social Care on a monthly basis and are payable to States of Guernsey.